Protective effects by exogenous sodium pyruvate already have been described in various experimental models of injury, among others during intestinal ischemia-reperfusion injury, hemorrhagic shock, and shock secondary to systemic inflammation (endotoxemic shock). Low doses of sodium pyruvate reduced signs of inflammation, enhanced systemic blood pressure, and ameliorated metabolic acidosis when administered in a prophylactic manner during endotoxemic shock. 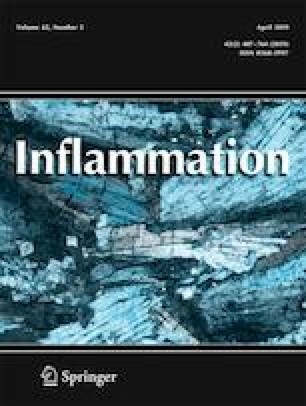 In the present study, we investigated whether low-dosed infusions of sodium pyruvate exhibited beneficial effects when applied therapeutically after the induction of systemic inflammation. Lipopolysaccharide was infused at a rate of 0.5 mg/kg × h over a period of 360 min to induce systemic inflammation in male Wistar rats. Sodium pyruvate (single dose 50 mg/kg × 15 min) was administered intravenously 180 and 270 min after starting of the lipopolysaccharide infusion. Systemic/vital parameters (e.g., systemic blood pressure and breathing rate) and blood/plasma parameters (e.g., acid-base parameters; electrolytes; glucose and lactate concentration; hemolysis; aminotransferase activities; and parameters of coagulation) were determined in regular intervals. Lipopolysaccharide infusion led to metabolic acidosis, hypoglycemia, electrolyte as well as hemostatic disturbances, and hemolysis. Except for the acid-base status (amelioration of metabolic acidosis) and the plasma chloride concentration (reduction of hyperchloremia), the additional infusion of sodium pyruvate failed in significantly improving lipopolysaccharide-dependent alterations (e.g. vital, blood and plasma parameters). Protective effects of a delayed administration of the metabolizable anion pyruvate during systemic inflammation, hence, are limited to its function as alkalizer to counteract metabolic acidosis. The authors thank Mrs. Eva Hillen and Mr. Falk Kähler for their excellent technical assistance.